To commemorate the 25th edition of the SXSW Film Festival, we continue our weekly alumni spotlight on careers launched, artists discovered, powerful performances, and more with comedian, actor, directer, writer, and producer Michael Showalter. Showalter’s career started with the now cult classic, Wet Hot American Summer. He wrote the ensemble comedy with David Wain and acted the role of Gerald “Coop” Copperberg and Alan Shemper. The film went on to spawn a prequel and sequel series on Netflix. 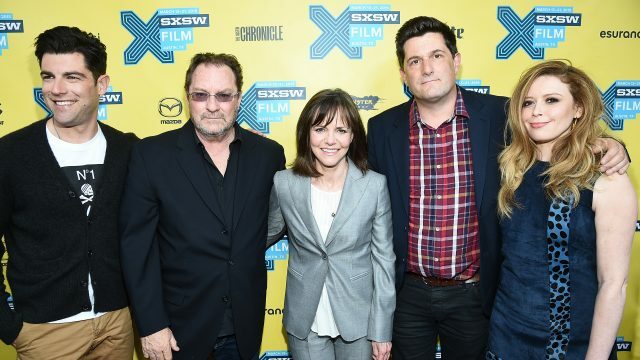 In 2015, after an active career writing, performing, producing and directing episodics, Showalter brought his second directorial feature to the SXSW Film Festival, Hello, My Name Is Doris, starring Academy Award Winner Sally Field in the title role. The film received the Audience Award in the Headliners category. Hello, My Name Is Doris was praised for its defiance of elderly stereotypes and for Field’s comical and emotional performance. Showalter co-created the dark, comedy series Search Party with Sarah-Violet Bliss and Charles Rodgers. The show had its episodic world premiere at SXSW 2016 and the series has been renewed for a second season which airs on November 19, 2017 on TBS. This past SXSW, Showalter directed one of the most exciting and buzzed about screenings at the festival, The Big Sick, which played in the Festival Favorites category and earned the Audience Award. The film was produced by SXSW alum Judd Apatow and Barry Mendel and co-written by Emily V. Gordon and Kumail Nanjiani. The Big Sick has received widespread critical acclaim and is one of the highest grossing and most successful independent films of 2017. Watch coverage from the event here, you won’t want to miss the surprise appearance by comedian Hannibal Buress. We are proud to share Michael Showalter’s #SXSWFilm25 story with you.